A range of low maintenance full face and half mask respirators. The full face mask meets the European Standard EN 136 Class 1 and the half mask meets the European Standard EN 140. 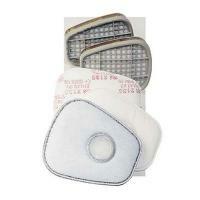 Gas and vapour filters meet EN 141 and particulate filters meet EN 143.